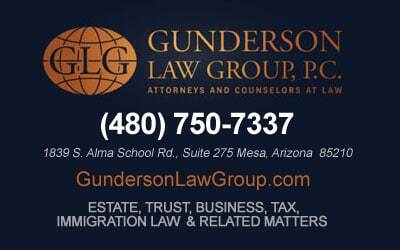 Brent Gunderson, Gunderson Denton & Peterson’s founding partner, is now licensed to practice in both Arizona and Nevada. Brent, who has been practicing business and estate planning law for over 25 years, advises clients on a wide spectrum of advanced business and estate planning strategies. 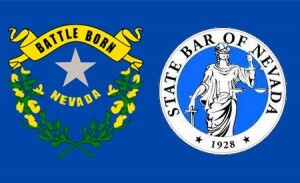 As a member of the Nevada Bar, he is now better able to offer planning strategies that are unique to Nevada. Nevada law allows clients some valuable and unique planning opportunities not available in Arizona or other states. For example, while most states prohibit a person from creating a trust for his or her own benefit and protecting that trust’s assets from his or her creditors, this type of trust is now an option in Nevada. Traditionally, people interested in creating these types of “self-settled” creditor protection trusts were required to create an off-shore trust outside the jurisdiction of the United States. Creating this type of trust in Nevada can have significant advantages over similar off-shore trusts. This and other changes in Nevada’s legal framework have created unique planning opportunities that interest many of our clients. While Brent has long helped clients with off-shore trusts, international estate planning, and multi-jurisdiction estate planning, his licensure in Nevada will broaden his ability to help clients with additional planning opportunities not available in other states. To learn more about the possible benefits of a Nevada-based trust for your situation, please contact our office.